Each year ARRA recognizes various public officials and consulting engineers for their use of recycling and reclaiming techniques on their projects. Nominations for these awards are submitted by various ARRA members and chosen at the ARRA Special Recognition Awards. The month of February not only brought us the GLCA Safety Award. But we were able, with the help of ARRA, to honor and recognize two different Counties in two different states for their use of Soil Stabilization and Full Depth Reclamation to help them save time and money. 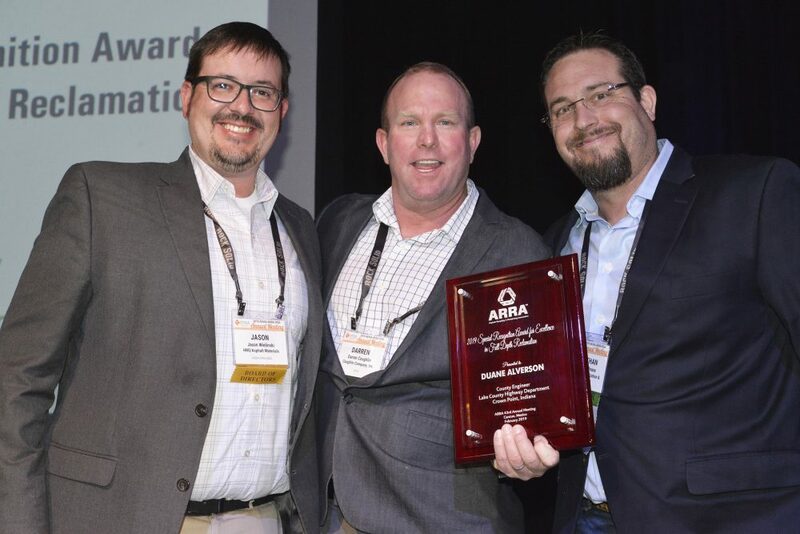 The 2019 ARRA Award for Excellence in Soil Stabilization went to Tom Saucy, Deputy County Engineer for the Cass County, ND Highway Department for his work with Rock Solid’s President and current ARRA Vice President, Jonathan Pease, on the ARRA Regional Seminars in North Dakota. Tom has been the driving force behind making sure Soil Stabilization keeps advancing through their specifications every year throughout the Midwest. 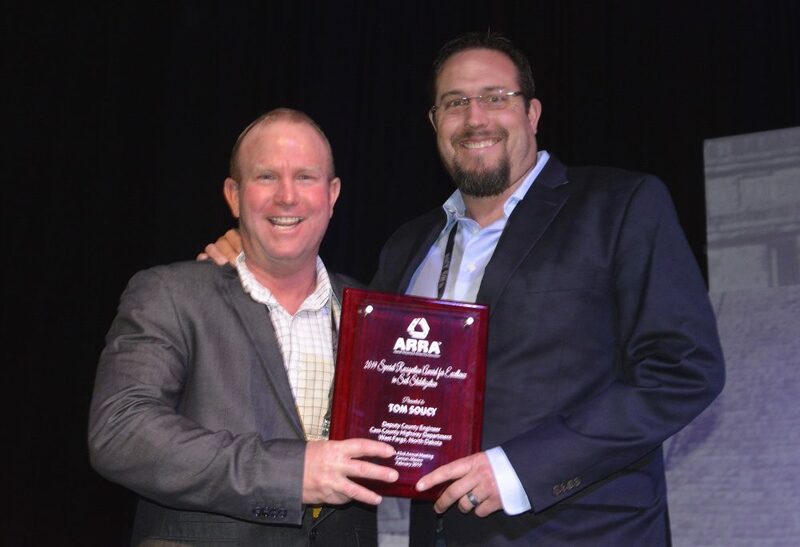 Duane Alverson, County Engineer for Lake County, IN won the 2019 ARRA Award for Excellence in Full Depth Reclamation. Duane and his team have been implementing FDR techniques in Lake County for several years after attending an LTAP conference and seeing a presentation on FDR. For 2018, Lake County designed a project to repair a 3.2 mile stretch of Clay St. The Clay Street Project was over 45,000 square yards of asphalt and aggregate base. Our team at Rock Solid was able to go in and perform Full Depth Reclamation with emulsified asphalt and complete the project in under a weeks’ time all while salvaging over 12,000 tons of asphalt & aggregate.